As a provider of distributed storage solutions to electric utility companies, Sunverge has worked on demonstration projects with dozens of utilities in Australia, North America, and Japan. In some instances we’ve deployed single units for R&D testing in laboratory environments. In other cases, we’ve helped our partners develop models to scale up battery storage offerings to larger populations with the overarching goals of improving the utility’s relationship with their customer and operating the distributed batteries as a Virtual Power Plant. With this real-world experience managing distributed storage demonstrations on different grids, under different tariff structures and with different business goals, we’ve gained valuable insight into what leads to a successful distributed storage demonstration. This is part 1 of 3 articles that will unpack these topic areas. The first, and in our opinion, most critical area of focus for an operational demonstration is the customer experience. This is central to the 21st century utility and the grid of the future, as customers take greater control of their energy generation and consumption. Energy storage, more than any other DER, has the potential to change the way customers participate in the electricity system. 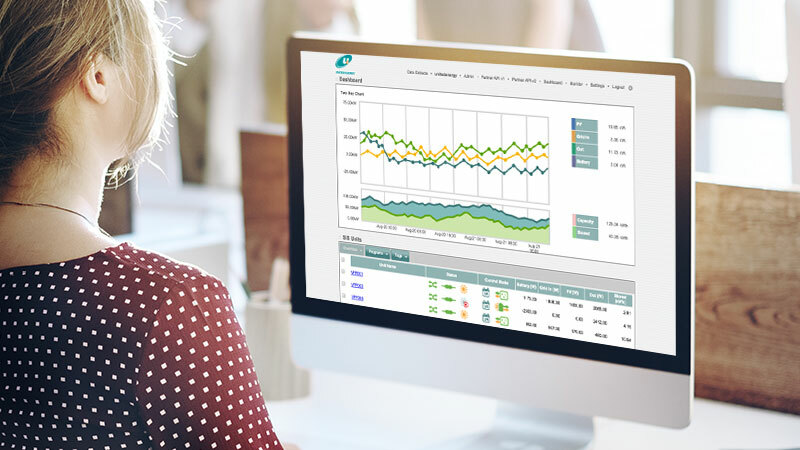 It is therefore critical that utilities make the customer experience a central focus of a behind-the-meter storage demonstration. According to Pew Research, four percent of homeowners in the U.S. have installed solar and 40 percent are considering using rooftop solar. And Deloitte reports that 45 percent of those who don’t have solar panels on their primary residence said they would be more interested in installing solar panels if they could combine them with a home battery storage unit. For consumers, there are three simple value propositions tied to their battery storage system: energy security, energy independence, and energy savings. Utilities are well positioned to provide these value streams. Energy security is the idea that customers have stored energy available during grid interruptions; in other words, backup power. As providers of reliability, utilities can and should see a battery backup system as a natural extension of their obligation to provide reliable power. Many customers already pay between $2,000-$6,000 for backup gensets. The challenge for utilities lies in gauging the value of backup power and pricing it appropriately. Lawrence Berkeley National Laboratory provides a good framework for evaluating the cost of outages to residential customers, noting that costs vary by time of day, season, duration, and other factors. A demonstration provides data that helps inform how different customer segments in a specific utility service territory value backup power. First, utilities can test how to frame different types of customer offerings. For example, the utility may elect to discount the price of the battery backup system to reduce the upfront cost to the customer, require the customer to pay a monthly fee on their bill for the value of backup, or a combination of the two. Second, utilities can gather valuable information about the value of backup during the system installation. 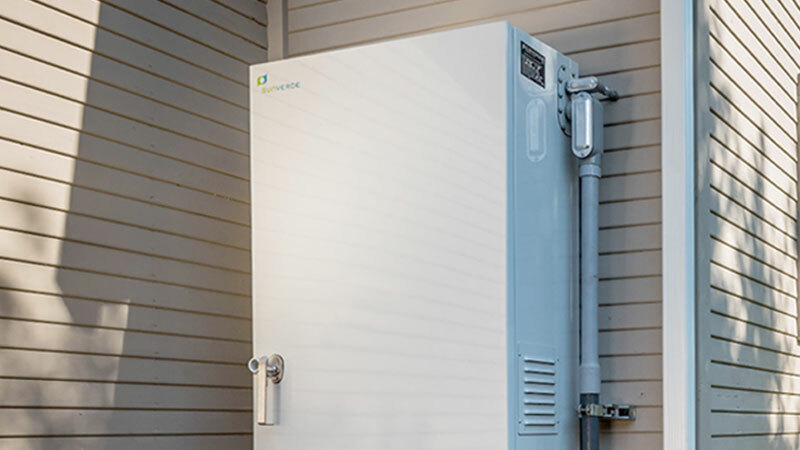 Typically, when a battery storage unit is installed, the electrician will install a dedicated “Critical Load Panel” (CLP), which ensures that certain circuits in the home are powered during an outage. Homeowners can exercise choice over which circuits, and which appliances by extension, are connected to the CLP. Capturing this information not only informs how different customer segments value backup, but also how customers are thinking about their energy consuming appliances more broadly. With visibility into where these customers’ energy storage systems are located on the grid, utilities can marry this customer information with information about outages across their network, and substantiate their methodologies for pricing backup power into their energy storage offerings. Consider a real world example of good execution in this realm. One of Sunverge’s utility partners, Alectra, decided to market an offering where 50% of each battery was reserved at all times for outage protection, in exchange for the customer’s participation in a Virtual Power Plant (VPP). 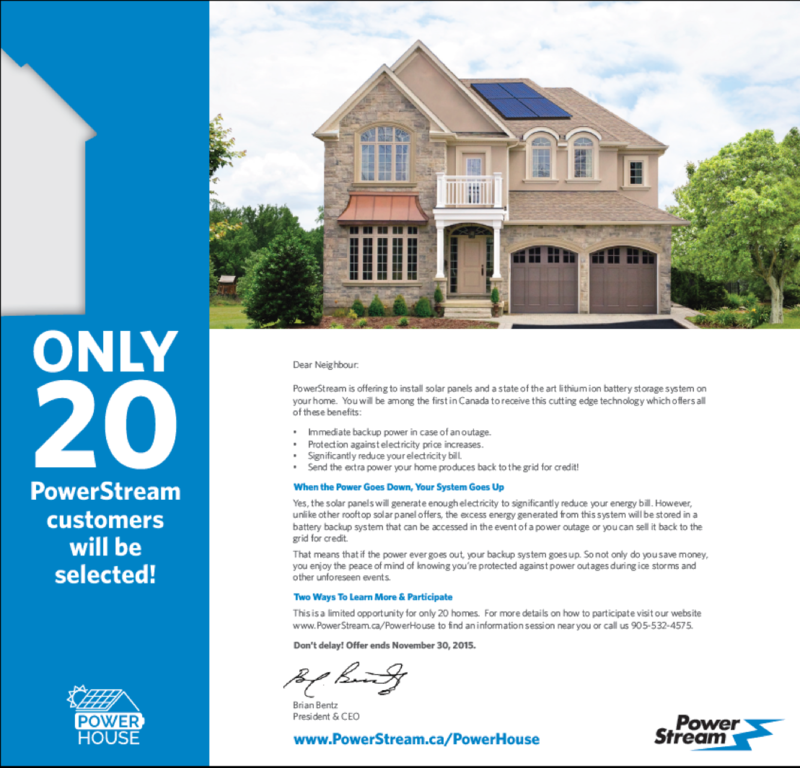 To sign on, the customer was required to pay an upfront payment plus an ongoing monthly fee that was offset by the bill savings generated by their solar and storage system. 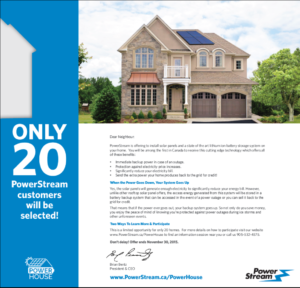 Through town-hall style meetings, direct mail, social media, referrals and word of mouth our utility partner was able to fully subscribe their demonstration in 30 days. In the process of choosing customers, the utility partner was extremely thorough in evaluating attributes that may impact the customer experience. Factors like roof-space, internet connection, location relative to specific feeders, and income levels were all taken into consideration when targeting ideal customers for the offering. As a result, they were able to realize shared value. Energy independence refers to the desire to take control of or even directly own one’s energy production. This is one of the core elements of the residential rooftop solar pitch. Battery storage is an extension of the same narrative. With storage, homeowners retain more of their day-time solar production for use at night. In areas where exporting solar is discouraged or even prohibited, the objective function of the energy storage system is to maximize solar self consumption. In most areas in North America these conditions don’t yet exist; therefore this argument appeals more to consumer preference than to economic necessity. The most groundbreaking difference between solar and storage, as opposed to solar-only, is the transformation of distributed solar into an asset that can be used as a VPP to deliver ancillary services to the wholesale market or peak reduction to the distribution grid. (We cover these and other use cases in detail in part 2 of this series). Because utilities are uniquely positioned to unlock this value, they have the ability to turn their solar-plus-storage customers into energy market participants, and ultimately deliver the energy independence narrative to a mass audience. Utility programs can leverage messaging that frames customer participation in DR events as “selling” or “contributing” their own assets to benefit the grid. Demonstration projects provide a unique opportunity for utilities to develop messaging along these lines that is specific to the local regulatory constraints and customer base. Energy savings are achieved when rate structures incentivize the storage of solar energy for use or export during certain times of day or season. Time of Use Rates, Critical Peak Pricing rates, and residential demand charges all incentivize the strategic use of stored energy to help the customer maximize their consumption offset—and thereby save on their electricity bills—during the expensive time periods. Sunverge’s algorithms are designed to automatically maximize bill savings under such rate structures without compromising customer comfort. 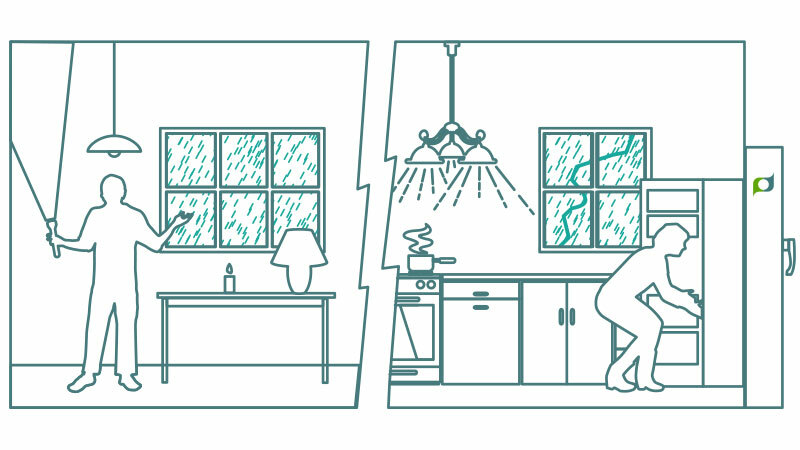 While most utilities offer residential time-of-use rates and demand charges, very few customers take advantage of them because they require consequential behavioral changes. This is changing, however. In the aforementioned Deloitte survey, 47 percent of millennials indicated TOU rates are extremely/very motivating, which isn’t surprising considering the popularity of services that use surge pricing, like Uber. 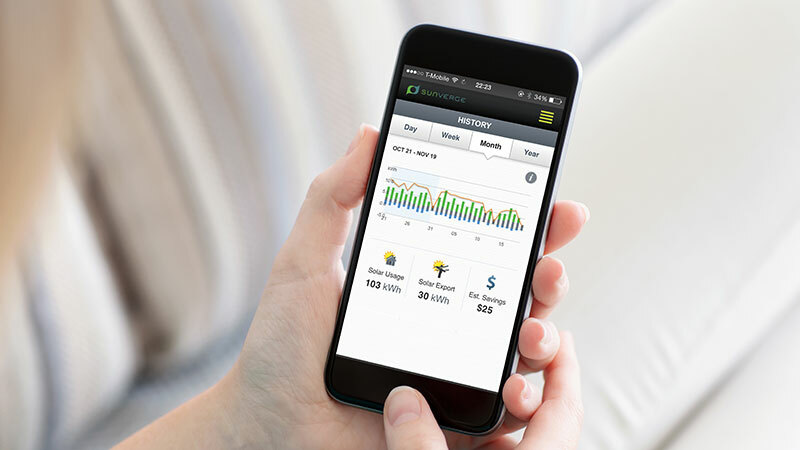 A growing number of utilities are using demonstration projects that leverage distributed storage and other connected DERs to help inform rate design, especially in areas where regulators aim to promote greater adoption of these technologies through price signals. Two of Sunverge’s vertically integrated utility partners are evaluating the impacts of dynamic rates on solar and storage system sizes and customer types. This type of analysis also helps inform utilities which customers are likely to recognize economic benefits from solar and storage. For example, customers located on constrained areas of the grid will likely recognize more value from their investment in solar plus storage than customers in highly reliable portions of the grid. With this type of information, utilities can develop appropriate assumptions around customer adoption. One of Sunverge’s utility partners used this information to develop a “payback acceptance curve.” The curve estimated solar+storage adoption levels for a given number of “payback” years. Their analysis estimated that if paybacks were as low as 5 years, they could sell their offering to 33% of all technically eligible customers. One of the keys to success in a demonstration project is setting appropriate expectations for the scale of economic returns that solar and storage can generate for customers. The sobering spoiler here is that economic benefits will vary by customer. As one of our utility partners told us, “expectations need to be tempered, [the offering] may have created too much excitement.” Clear, consistent communication is key. A positive customer experience will provide a good foothold to evaluate how to operate the customers’ batteries as a VPP, and what ownership options to consider. We cover these areas in more detail in parts two and three of this series.